James O. Hill, Ph.D. is Professor of Pediatrics and Medicine at the University of Colorado School of Medicine, Denver, Colorado. He holds a B.S. degree from the University of Tennessee and M.S. and Ph.D. degrees from the University of New Hampshire in Physiological Psychology. He served as Chair of the first World Health Organization Consultation on Obesity in 1997. He is Past President of the American Society for Nutrition and The Obesity Society (TOS). He was also a member of the Expert Panel on Obesity of the National Institutes of Health that developed first U.S guidelines for the treatment and prevention of obesity. Dr. Hill has published more than 350 scientific articles and book chapters in the area of obesity. Many of these focus on the importance of healthy eating and physical activity in weight management. 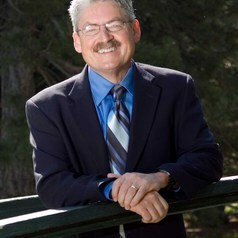 He is the recipient of the 2007 TOPS award from The Obesity Society. He has received the Centrum Center and McCollum awards from the American Society for Nutrition. Dr. Hill is a cofounder of the National Weight Control Registry, a registry of individuals who have been successful in maintenance of a reduced body weight. He also is co-founder of America on the Move, a national weight gain prevention initiative that aims to inspire Americans to make small changes in how much they eat and how much they move to prevent weight gain. He is the author of the Step Diet Book, published in June 2004. Dr. Hill serves on the boards of Livewell Colorado, the Metro Denver Health & Wellness Commission, and the Colfax Marathon.